Law professor Thomas Jackson McMurtrie literally wrote the book on evidence in the state of Alabama. But when a power-hungry colleague uses a recent run-in between McMurtrie and headstrong student Rick Drake to end his career, he is left unsure what to do next. Meanwhile, a devastating trucking accident in Henshaw, Alabama, leaves a young family dead. Drake, now a fledgling lawyer, takes the case against the freight carrier and soon begins to uncover the truth behind the tragedy that is buried in a tangled web of arson, bribery, and greed. On the eve of the trial and with his case unraveling in the midst of a dangerous cover-up that threatens to silence his star witnesses, Drake realizes that only his estranged mentor, Professor McMurtrie, can help him now. With everything to lose and only justice to gain, will McMurtrie and Drake overcome bad blood to defeat a ruthless adversary? 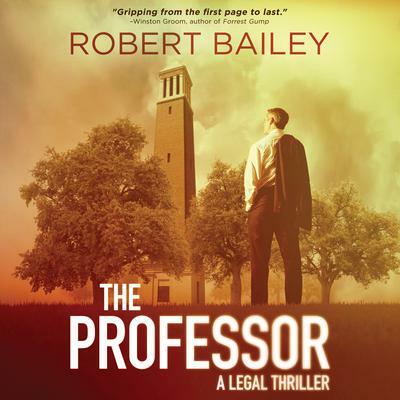 Can the Professor turn back the clock and recover all that he’s lost? With everything to lose and only justice to gain, will McMurtrie and Drake overcome bad blood to defeat a ruthless adversary? 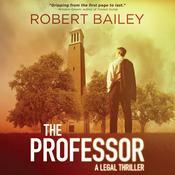 Can the Professor turn back the clock and recover all that he’s lost? 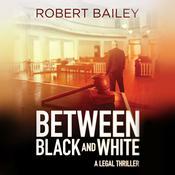 Robert Bailey was born in Huntsville, Alabama. He earned a bachelor’s degree in history from Davidson College in North Carolina before going to law school at the University of Alabama, where he made Law Review. 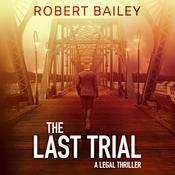 For the past thirteen years, Bailey has been a civil defense trial lawyer in his hometown of Huntsville, where he lives with his wife and three children.